Spring is always a busy time for the property market. At Nicol we’re constantly looking for new ways to give our clients extra exposure in order to sell or let out their property, and it’s a great time of year to announce we are now listing our properties on Onthemarket.com – the UK’s third largest online property portal. With increasing numbers of potential buyers starting their property search online, it makes sense for us to utilise all available channels and increase the chance of a quick and easy sale for our clients. Currently, we list on all the major property portals, including Rightmove, Zoopla and S1 Homes, and the addition of listing on Onthemarket.com offers sellers an increased online presence for their property listing and a chance to attract even more viewers. 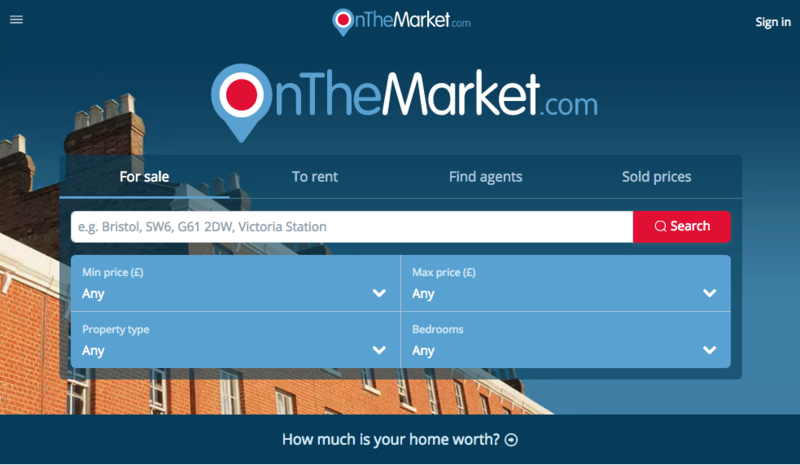 Since launching in 2015, OnTheMarket.com has grown to become one of the big players in online property listings, offering a user-friendly, high quality service and helping to improve the way house hunters search for property to both buy and rent. What’s more, every property you see at OnTheMarket.com is being marketed by a full-service estate or letting agent who are experts in their local area, now including us at Nicol Estate Agents in East Renfrewshire, ensuring that any interested viewers will come to us to help organise all the logistics for you. Agents across the UK already utilising OnTheMarket.com have had success with the online channel to date, finding that leads from the site are high quality, with the site attracting genuine property seekers. Alongside our reach into the local community, increasing our online presence acts to give your listing local, national and international reach. We achieve global exposure for our properties via our own website as well as all the major national portals, now including the growing OnTheMarket.com. There is continued demand for property in East Renfrewshire and the wider Glasgow area, with property prices showing a steady pattern of growth from late 2017 and into 2018. Recent research completed by Hometrack shows that property in Glasgow has grown by 7.9% in the 12 months prior to November 2017 – the fastest rate in the UK – demonstrating a rapid increase in demand for homes in Scotland’s largest city and the surrounding areas. Now operating from two offices in Newton Mearns and Clarkston, the Nicol team have had a busy time over the past year which looks set to continue, completing many sales and our teams witnessing an increasing climate of competition between buyers first hand, as demand for property outstrips supply. It certainly is a seller’s market right now and a great time to list your property, with many seeing offers coming in in record timing and achieving great prices. We’re dedicated to keeping up with the latest trends in property at Nicol, so we’re delighted to offer our clients an additional online listing via OnTheMarket.com. We encourage East Renfrewshire residents considering selling up to take advantage of the current seller’s market and we’d love to discuss further how we can market your property for you. Get in touch today!